Bitcoin! You almost have to shout it. The much ballyhooed currency has had a simply amazing last few weeks. It put on the finance nerd equivalent of a fireworks show, blasting from less than $400 per coin a week ago to a high of around $900 (Mt.Gox data). The shot to the top was almost ludicrous in its intensity. When Bitcoin finally licked the $900 mark, it dropped in the same hour to under $600 before recovering, and dropping, and recovering, and dropping, and on and on and on. But now, some time later, a trend is developing: Instead of Bitcoin suffering from a rapid collapse in its overheated price, the currency is experiencing a slower, if still very material decline. 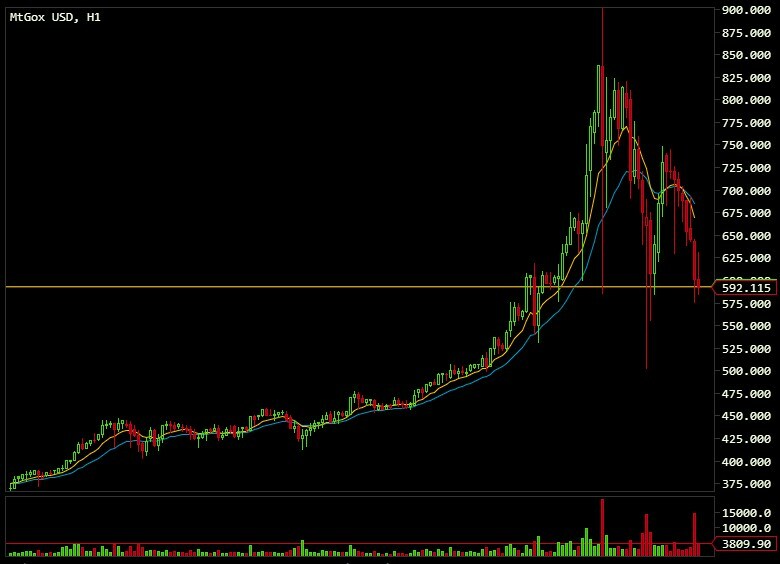 Currently trading just under $600, Bitcoin has shed one-third of its value in around a single day. I honestly expected a sharper descent to lower prices, but what can I say, the hallmark rise and fall pattern is there: A sharp decline, fueled by panic or something close to it, the following dead cat bounce, and then the slide as diminished speculative demand can’t hold back profit taking from tired parties. Don’t fret, we’ve been here before. The current rally is being fueled by the usual combination of presumed scarcity, an overzealous investor class, and truckloads of optimism. 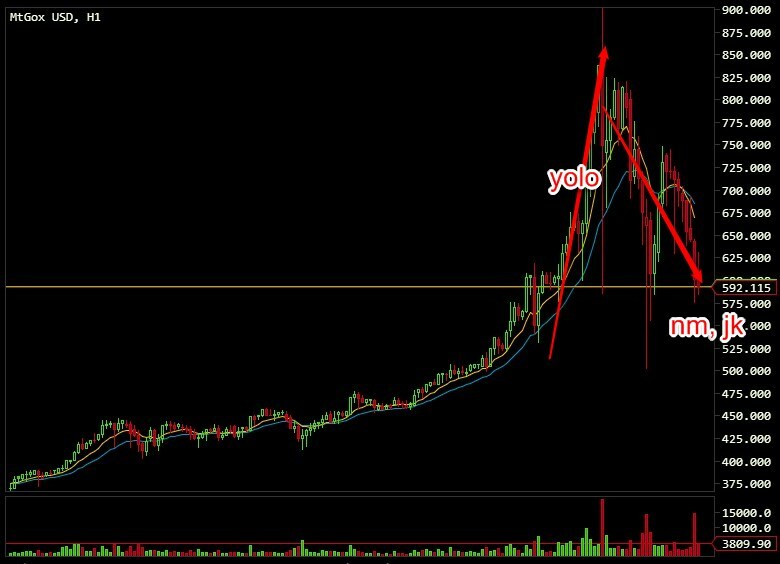 So, things will calm down in a bit, with a decent price correction. History teaches us that much. Also, can I sell you this tulip bulb. Of course this is a bubble. It’s a far too rapid increase in the price of a financial instrument that is unmoored from any inherent value that is being bid up by aggressive individual speculation. What else is that? So, expect more easing in Bitcoin’s price.